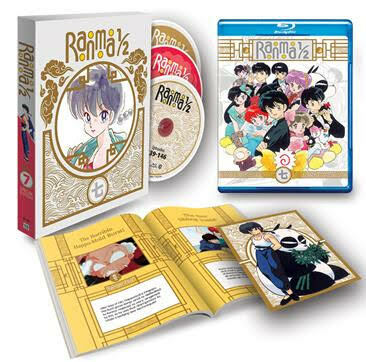 The final episodes of the popular martial arts action comedy anime “Ranma 1/2” are now available in North America in the form of two box sets, VIZ Media announced this week. Wrapping up the series with 23 episodes across three discs, both the Standard Edition DVD box set and Limited Edition blu-ray box set — going for $44.82 and $54.97, respectively — contain episodes 139-161 as well as bonus features like trailers and clean openings and endings. “Ranma 1/2” made its Japanese debut in 1987 and wrapped up in 1996. Manny Vivas has covered the gaming industry for numerous online publications including Examiner.com, TheGamersDrop.com and GotGame.com. He is currently enrolled in Kingsborough Community College where he is pursuing a degree in journalism. Keep up with his latest antics by following him on Twitter.